Asthma is a chronic lung disease that affects millions of people. For most, asthma symptoms appear in childhood, but adults can and do develop asthma, too. The exact cause of asthma is unknown. It can be inherited. 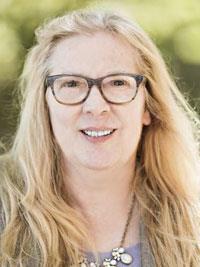 Allergens along with other irritants, such as the environment and infections, are also involved,” says Debra Ahrensfield, MD, with LVPG Internal Medicine–Orwigsburg. Q. What happens in the lungs? Asthma is a disease that affects the airways of the lungs. Airways become sensitive to asthma triggers like allergens, chemical fumes or even exercise. When exposed to an asthma trigger, airways narrow. When they narrow, the muscles tightenand there is an increase in mucus production in the lungs. This cascade of responses makes it difficult to breathe in and exhale. Q. What are signs and symptoms of asthma? Symptoms of asthma can include difficulty breathing, shortness of breath, coughing, wheezing, rapid breathing, pressure or tightness in the chest, difficulty talking, anxiety, a pale face, blue lips or fingernails, feeling tired, decrease in lung function as measured by a spirometer or a peak flow meter, signs of a cold or allergy (nasal conges- tion, sore throat, headache). The two types of asthma medicines are long-term control and short-term or quick-relief medicines. “Long-term control medicines are usually taken every day to control asthma symptoms and work over time to stop symptoms. Quick-relief medicines calm asthma symptoms fast, but only last for a short time,” says Ahrensfield. Most medications are taken as inhalers – which allow medicine to go straight to the lungs. “I also recommend allergy medicine to help allergen-related asthma,” says Ahrensfield. Work with your health care provider to create an asthma action plan. This will include medication information and a plan for how to handle an increase in or worsening of asthma attacks. Also make sure you get a seasonal flu shot every year. A good diet and daily exercise are important for an asthma treatment plan. Are you having difficulty breathing and think it might be asthma? 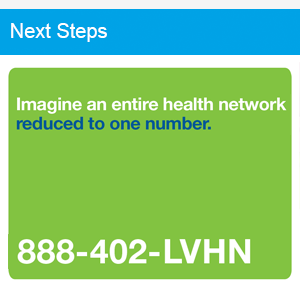 Call 888-402-LVHN (5846) or visit LVHN.org to schedule an appointment with a primary care provider.